There are some things that Portland has a lot of: great beers, people waiting in line for brunch, etc. 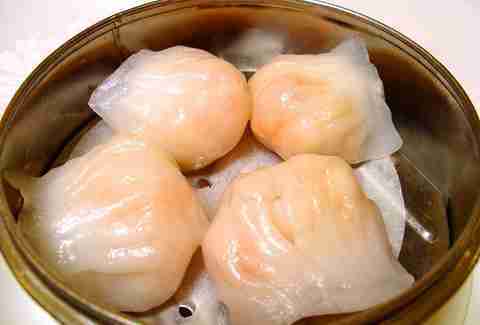 Then there's dim sum. Stumptown doesn't have many places that do these cart-based, Cantonese-style eats well (or at all), but if you look hard enough -- or just check out our list of PDX's six best dim sum spots below -- and you follow a few simple rules, like "don't sit in the corner or you'll never get fed", you'll be dining on delicious dumplings and more in no time. 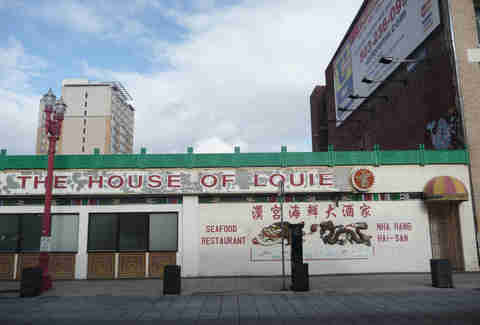 One of the big three on 82nd and a well-known haven for Asian food, Ocean City might not get the general recognition of Wong’s King (more on them later! 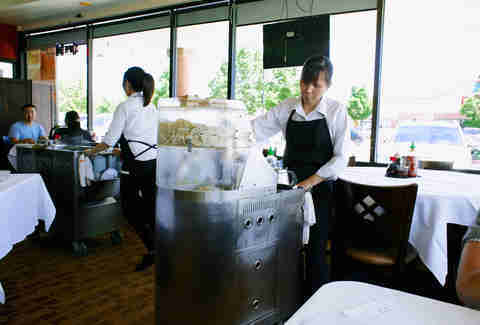 ), but if you ask most of the city’s top chefs they'd say this spot is their favorite. Tables fill up fast so make sure to get there early or be relegated to the edge of the dining room where, by the time the cart gets to you, they'll only have chewy chicken feet left. 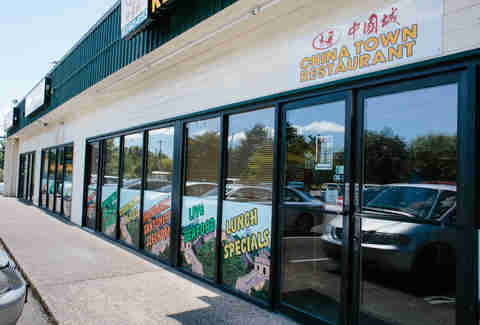 It's probably Portland's most popular Chinese restaurant, which means going to Wong’s King on weekends is a lot like going to brunch anywhere else: you better be prepared to wait (or just queue up a half hour before they open). Unlike Portland's more popular brunch spots, you should also be prepared to fight for attention from the people pushing the carts around. Sure this Baroque Chinese joint specializes in elaborate Jell-O desserts and offers a decent dinner, but best of all is the fact that it also opens at 11am for dim sum service everyday, and is rarely even half full, which means you can enjoy all the Siu Mai pork dumplings or BBQ pork-stuffed bao you want. 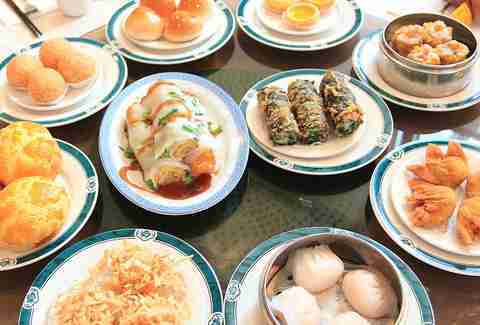 This may be the only PDX-area dim sum spot with a full bar, which is reason enough to go. They've also got a shton of specials (just check out their front window), plus a fully stocked lobster tank -- so you can ponder the meaning of life as the tiny women who work there pick a slow-moving crustacean to kill for your dining pleasure. 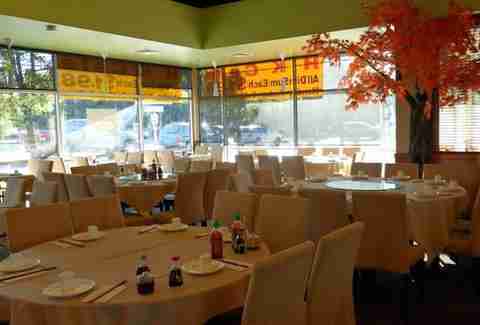 If you weren't just there for the dim sum, obviously. Almost before you can say "no hot tea, please", a variety of carts offering the entire menu in one quick pass are whisked to your table. Don’t be fooled, this is great service, but it’s also a good opportunity to fill you up quickly and get your table turned. Make sure to pace yourself, the carts inevitably return. 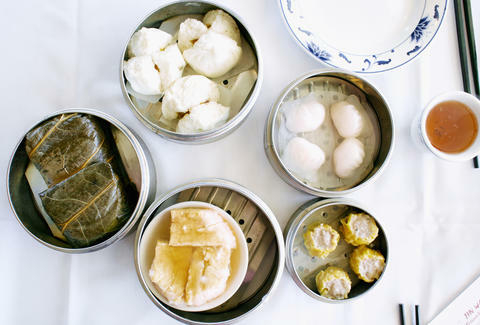 The best thing about this newish dim sum-ery? Their menu has pictures, so you can cross reference the items on the cart AND be able to point at 'em and ask for the cart with whatever looks good to you. And it all will, because the quality is good and the turnover means the food is always fresh, which makes this the best place in Portland to finally try those chicken feet. Just kidding... don't.